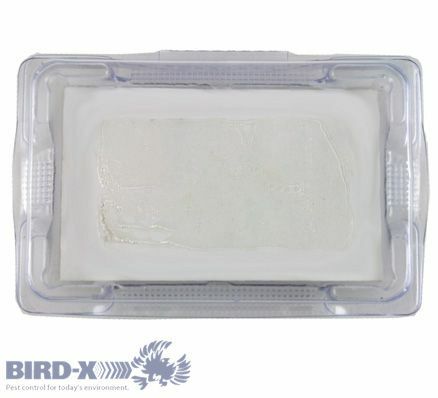 The Bed Bug Alert by Bird-X offers a maintenance free no mess way to monitor for bed bugs for up to a 6 month period. Using a pheromone attractant, bed bugs enter the monitor and get stuck in a sticky glue. The Bed Bug Alert is great for home usage or while on vacation on cruise ship or during hotel stays. They can also be easily applied to mattresses, box springs and chairs for early detection and monitoring during an infestation. Place anywhere bed bugs are suspected - under mattresses, between couch cushions, in suitcases, etc. The Bed Bug Alert monitor and trap is an effective tool that can be used to monitor for potential bed bug infestations. Using a pheromone lure attractant, bed bugs enter the monitor and then get stuck in a sticky glue. We really like the clear outer casing allowing you to easily inspect the monitor's interior for bed bugs without having to remove anything. The glue is also on the inside of the monitor so its completely mess free and child safe. We recommend using the Bed Bug Alert monitor and trap on the four corners of the bed or sofa to see if bed bugs are present. Periodically inspect monitor visually for any signs of bed bugs including blood spotting or actual bed bugs. The Bed Bug Alert works for 6 months and can be checked daily if needed for the presence of bed bugs. Once bed bugs are identified using the Bed Bug Alert, our 4-Step Solution should then be implemented. The Bed Bug Alert is also a great product to bring with you while on vacation. 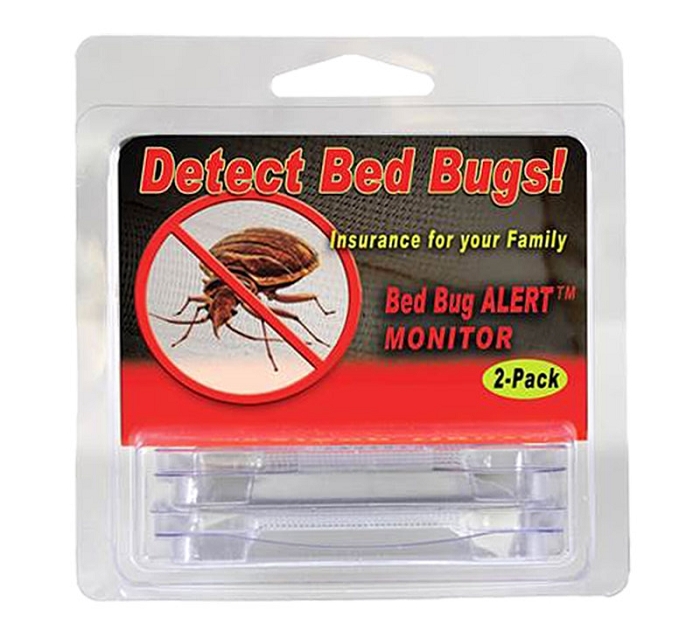 Simply install them on the edge of the 4 corners of your hotel or cruise ship bed (between the mattress and the box spring) and you'll be able to monitor to see if bed bugs are present in the bed. If you trap a bed bug, you'll have something tangible to show management. 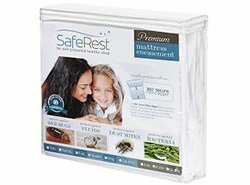 For best results we recommend using the Bed Bug Alert in conjunction with mattress encasements and Climbup Insect Interceptors. This offers the best prevention tool available for home use. 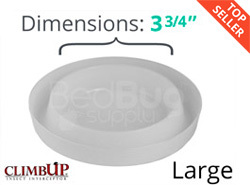 Apply Climbup Insect Interceptors - Prevents entry into the bed by eliminating entry points on the bed (applied to each leg of the bed, chairs or sofa). Bed bugs want to feed and will be collected inside the interceptors as they attempt to climb into the bed. 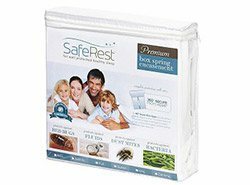 Apply Certified Bed Bug Proof Mattress Encasements- Prevent bed bugs from hiding along the seams of the mattress or inside the mattress, box spring and corner guards. Bed bugs can quickly ruin a mattress if not encased and protected. Apply Bed Bug Alert Monitor and Trap- Attracts and catches bed bugs that were likely carried into the bed on the sleepers clothing. The Bed Bug Alert is a high quality bed bug monitor offering early detection and peace of mind for those wishing to know if they have or do not have bed bugs. With new cases of bed bugs being reported in record numbers, prevention may be one of the defenses. Place monitors with glossy side up as per the marking on the device. Monitors should be placed between box spring and mattress near the head of bed and near the foot of bed. Line up edge of monitor with edge of mattresses. No sprays, no touching, no chemicals, child proof, sturdy construction and no odor. Take with you in your luggage for hotels, dorms and vacations to keep from bringing bed bugs home. Pest control companies: Provide monitors to your clients to keep an eye on the bed bugs that survived the first treatment. Hospitals: Patients bring bed bugs in. Epidemiologists could use monitors to provide routine checks in all rooms. The monitors come packages of 2 or 12 to ensure freshness. The 6 month time period starts from the day the products are removed from their packaging. Q: on package it says 2 on quantity\bulk says four does that mean 2 packagers (meaning four) all together? 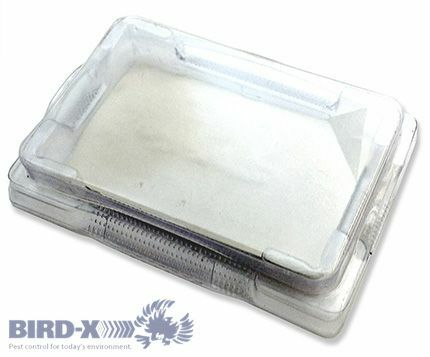 The minimum quantity we sell is 4 monitors, meaning 2 of the 2-packs. Q: can bedbug alert be placed between mattress and boxspring for use? Yes, these can be placed between the mattress and box spring. Position the monitors at the head and foot of the bed, and line up the edge of the monitors with the edge of the bed to allow bed bugs an easy way to enter the trap. Each trap measures 2" x 3 ". Q: Are they labeled for use in schools? There are no label restrictions on where these monitors can be used. Q: how long are the bed bug alert monitors good for? Each monitor works for up to 6 months. Q: Can you still use these if you don't have a box spring? I have a metal slat bed frame and just a mattress. Yes, you can still use these without a box spring. Consider using passive monitors like ClimbUp Interceptors for the legs of your bed frame as an alternative. Q: What does it do when it catches the bug? 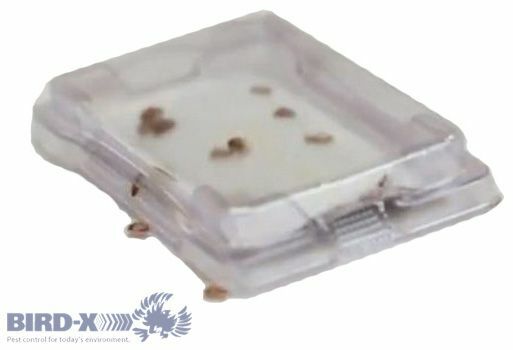 This is an adhesive trap, so the bed bug becomes stuck inside the trap for inspection and disposal. Q: The instructions say to remove the paper on the glue inside the monitor, but the monitors I received did not have paper covering the glue strip. Is that normal? The manufacturer recently modified the design of the traps but has not yet updated the instructions. Currently, there is no paper covering the glue strips, so there is nothing to remove before putting the monitors in place. We are working with the manufacturer to get updated instructions as soon as possible. Q: we can take the trapped bedbugs and continue using the monitor ? Yes, if you safely dispose of the trapped bed bugs, you can continue to use the monitor until its lure expires. Q: can they be placed on the floor or are they just for inbetween mattress and box xpring? The idea of placing the traps in the bed is because bed bugs are drawn to you in your bed, and the lure can intercept them along the way. While it's still possible to trap bed bugs if the monitor is placed somewhere else, it may not be as effective. We put these on our couch to see if we had bed bugs. Within a day we had caught 4 large bed bugs. We then started treating the sofa and used the monitors to track the progress. They work as advertised and helped save our $2000 sofa! Reviewed by: Anthony from Boston. We caught about 10 bed bugs in our couch using these. We put 8 in the couch to try to get rid of them. I'm not sure if we got them all, but it did catch bed bugs. Reviewed by: Wilma S. from GA. Product even attract other pest as well such as roaches. Great product. Reviewed by: tim from home. This product I really like. It lets me sleep comfortably at night, knowing that if there are any bugs, they will be attracted to and get caught in the trap. I haven't seen any bugs in mine yet, just a few nymphs, but that is a good thing. I know it's doing it's job! Great product. Gets rid of bed bugs. Reviewed by: Bob Baglien from la, ca. The monitors were not as I expected. A bit smaller than I wanted but hopefully, they will work. I had a small infestation in July and I found 2 dead bugs on my carpet in October. The monitors should get the remaining stragglers if there are any left. Reviewed by: D. Johnson from Tennessee. We bought these items because we have bed bugs in our apartment we took the monitors to our cabin to check to see if we have them there. Reviewed by: Dennis Yinger from Peoria Arizona. Shipping was fast and great that I was given free shipping. Great customer service. Reviewed by: Lynda from AZ. Reviewed by: John Spencer from Cincinnati. This is a very useful product. We use these for pro-active purposes so we can be sure NOT to have an issue. Reviewed by: Jonathan from Nantucket, MA.